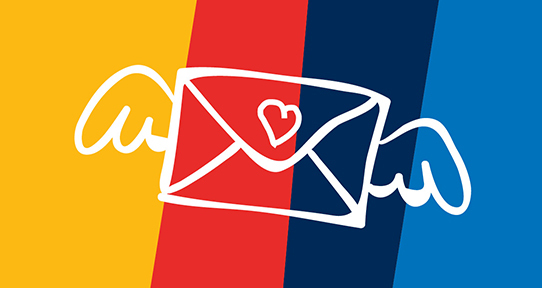 Send a kind note of support, advice or encouragement to a UVic student and show how much UVic alumni really care! Exam time can be stressful for students, as many UVic grads will recall. That’s why the UVic Alumni Association is calling on our alumni to join in the UVic Kind Mail Project by sharing some friendly words of encouragement with students to ease exam stress and anxiety. Messages of support will be printed onto branded postcards and distributed to students and displayed around campus for them to read throughout the month of April. We hope you will take a few minutes now to send a kind note of support, advice or encouragement to inspire a UVic student and show how much UVic alumni really care! Send a postcard of support! Check out the photos from 2019 Kind Mail Campaign!